The story of this political thriller takes place in the 90s and follows one night of the life of the Deputy Minister Nikola and his wife Ana. Nikola Ristanovski and Verica Nedeska star in the main roles of the couple. In a Macedonian gypsy village local man meets an Indian UNPROFOR physician whom he sees as solution to all his troubles. A cruel chain of events turns a quiet, introvert boy from a desolated adoption Center into a fierce leader of a group of ruthless youngsters, who decide to take revenge of the world that has done them nothing but harm. Excellent movie but couldn't the music be better? 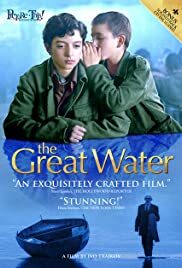 The movie is the story of the little Macedonian kid Lem who fell victim to the 2nd World War by witnessing the loss of his parents. Like so many guys and girls picked from the different parts of Macedonia which was once one of the republics of the Yugoslavian Republic, Lem is brought to an orphanage house which serves as an agent of regimentation. The Socialist regime needs ambitious and well-trained guys and girls who are expected to be die-heart patriots against the Nazist and Fascist threats. Poorly aware of the Socialist training and its consequences, Kim starts to be exposed to the building blocks of socialism.His life starts to change once a mysterious boy steps into the wrecking camp. Kim's curiosity and penchant for being closer to this mysterious boy draw the two characters to chain of irreversible events. Based upon a very famous Macedonian novel, the movie is excellent in the great performance shown by the actors and actresses. The director's way of introducing the story to the viewers is so good.There is only one thing missing in the movie.That's the choice of the music for the movie.I am convinced that the director could choose better music.